The LG V40 ThinQ features a glass back and a metal side frame, which feels very sturdy but at the same time, makes the phone very slippery. It features a 6.4-inch OLED display with a QHD+ resolution and Corning Gorilla Glass 5. It's powered by the Qualcomm Snapdragon 845 SoC and comes with 6GB of RAM and 128GB. Dual 4G VoLTE is also supported. The V40 ThinQ runs on a custom skin that's based on Android 8.1 Oreo. There are three cameras at the back, which include a standard sensor, a wide-angle sensor and a telephoto sensor. You also get two cameras in the front, which include a standard and wide-angle sensor. Image quality is good in most lighting conditions and the phone has good video capabilities too. The phone also has a 3,300mAh battery with fast charging support. 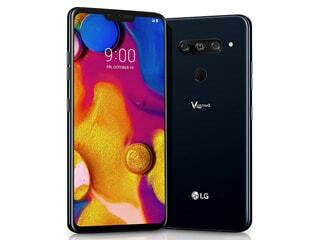 LG V40 ThinQ smartphone was launched in January 2019. The phone comes with a 6.40-inch touchscreen display with a resolution of 1440x3120 pixels and an aspect ratio of 19.5:9. LG V40 ThinQ is powered by an octa-core Qualcomm Snapdragon 845 processor. It comes with 6GB of RAM. The LG V40 ThinQ runs Android 8.1 and is powered by a 3,300mAh non-removable battery. The LG V40 ThinQ supports wireless charging, as well as Quick Charge 3.0 fast charging. As far as the cameras are concerned, the LG V40 ThinQ on the rear packs a 12-megapixel primary camera with an f/1.5 aperture and a pixel size of 1.4-micron; a second 16-megapixel camera with an f/1.9 aperture and a pixel size of 1.0-micron and a third 12-megapixel camera with an f/2.4 aperture and a pixel size of 1.0-micron. On the front, the LG V40 ThinQ packs an 8-megapixel primary camera with an f/1.9 aperture and a pixel size of 1.4-micron and a second 5-megapixel camera with an f/2.2 aperture and a pixel size of 1.4-micron. The LG V40 ThinQ runs Yes based on Android 8.1 and packs 128GB of inbuilt storage that can be expanded via microSD card (up to 2TBGB). 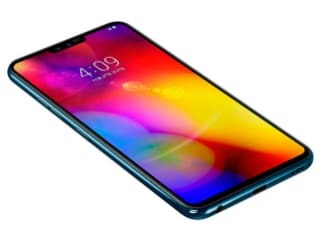 The LG V40 ThinQ is a dual-SIM (GSM and GSM) smartphone. 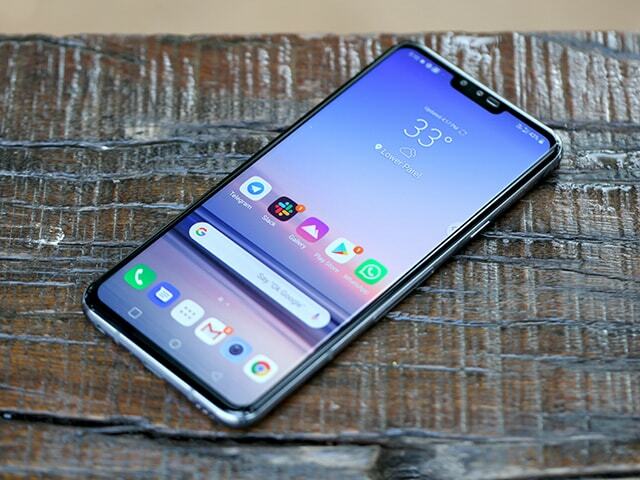 Connectivity options on the LG V40 ThinQ include Wi-Fi 802.11 a/b/g/n/ac, GPS, Bluetooth v5.00, NFC, USB OTG, USB Type-C, 3G, and 4G (with support for Band 40 used by some LTE networks in India) with active 4G on both SIM cards. Sensors on the phone include accelerometer, ambient light sensor, compass/ magnetometer, gyroscope, proximity sensor, and fingerprint sensor. The LG V40 ThinQ supports face unlock. The LG V40 ThinQ measures 158.70 x 75.80 x 7.79mm (height x width x thickness) and weighs 169.00 grams. It was launched in Aurora Black and Moroccan Blue colours. It features an IP68 rating for dust and water protection. It bears a glass body. 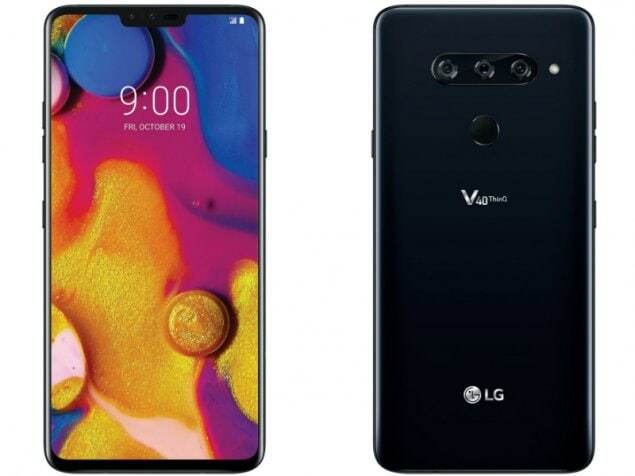 As of 24th April 2019, LG V40 ThinQ price in India starts at Rs. 49,990.